The BT Reflex E-series with unique tilting cab for ultimate driver comfort. 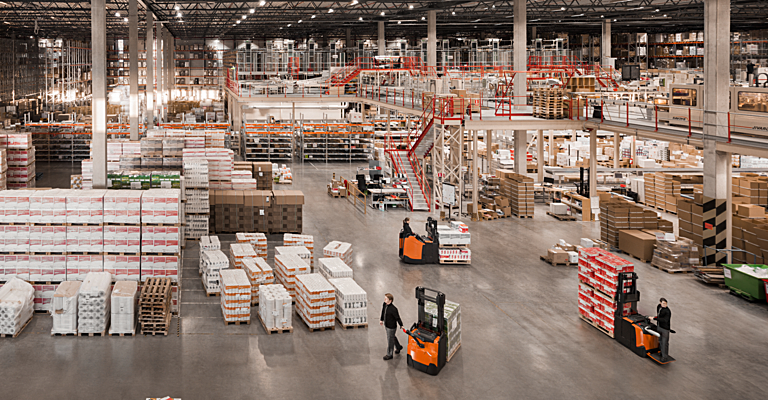 Reach trucks from Toyota are best in class with exceptional residual capacities and excellent ergonomics. All BT Reflex trucks are easily programmable and equipped with unique safety features, offering outstanding productivity while working at height. The BT Reflex B-series are safe and simple in use. 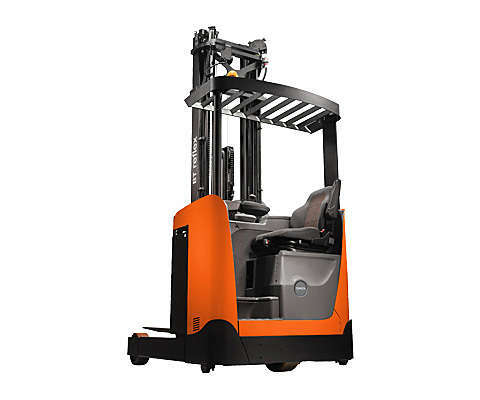 Designed for perfect load control, material handling happens smooth and precisely, leading to high efficiency levels in combination with high manoeuvrability. 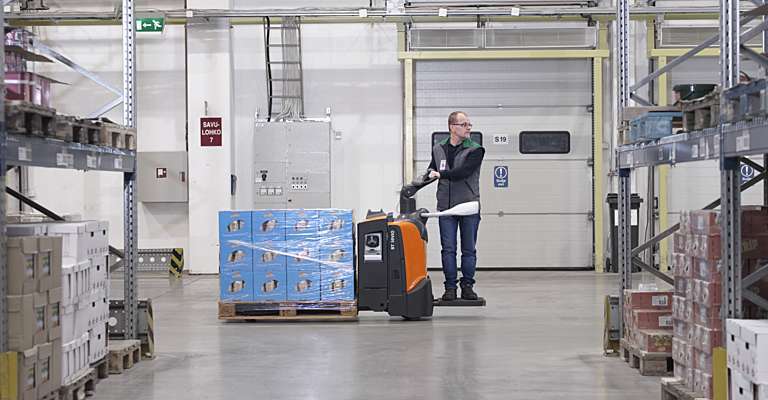 In terms of driver comfort, these reach trucks offer adjustable floor height, controls and seat, as well as fingertip levers control and a spacious cab. The BT Reflex R- series are designed to lift heavy loads to high heights, thanks to excellent stability and Transitional Lift Control, for fast and smooth lifting and lowering. Engineered for performance at height, the open operator compartment, the transparent roof as well as the mast design offer excellent visibility of the load. Driver experience is further enhanced by the adjustability of the floor, seat and controls. This truck is equipped with telematics hardware, making it a smart truck that can be connected. This allows you to easily monitor its activity and improve its productivity, safety and efficiency. 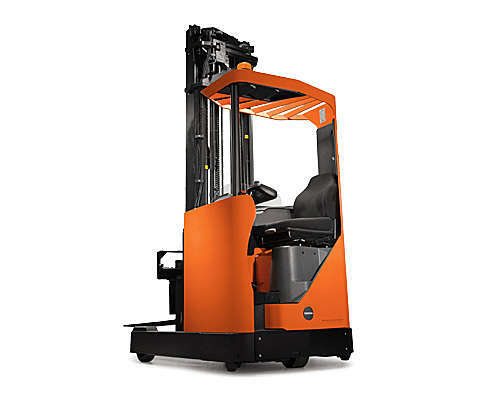 The BT Reflex E-series are reach trucks designed similarly to the R-series with Transitional Lift Control to lift heavy loads fast and smoothly to high heights. Engineered for performance at height, the unique tilting cab and transparent roof as well as the mast design offer excellent visibility of the load. 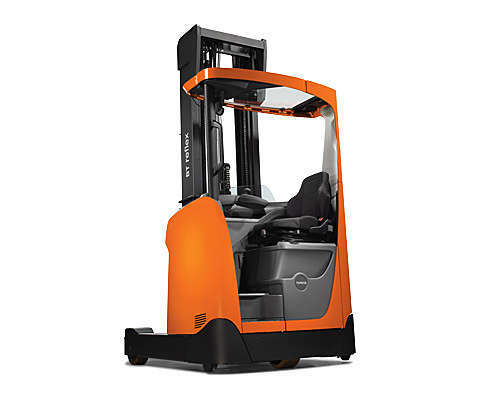 The unique E-series is also designed to reduce the risk of strain for the driver in repetitive high-level applications. This truck is equipped with telematics hardware, making it a smart truck that can be connected. This allows you to easily monitor its activity and improve its productivity, safety and efficiency. 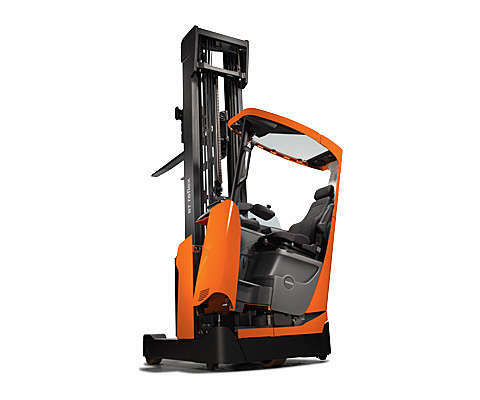 Thanks to its narrow chassis, the BT Reflex N-series can easily work in narrow areas such as block stacking or drive-in racking. 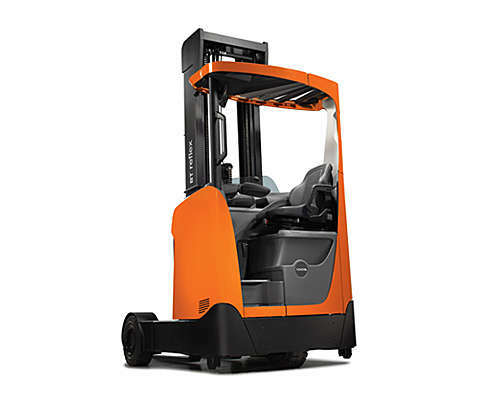 These reach trucks offer great operator comfort thanks to the 360° steering, adjustable seat and low step-in height. The electronic fork control guarantees smooth operation and precision. This truck is equipped with telematics hardware, making it a smart truck that can be connected. This allows you to easily monitor its activity and improve its productivity, safety and efficiency. 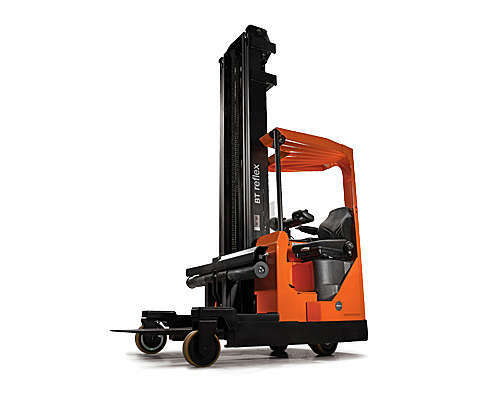 The multi-directional reach trucks from the BT Reflex F-series are equipped with clearview masts and 360° steering. Besides conventional pallets, the hydraulic fork spreader enables the handling of long loads such as steel beams and plastic pipes. The operator faces the forks to obtain the best view of long and unusual loads. The BT Reflex O-series are fit for indoor as well as outdoor use thanks to the durable wheels and high ground clearance. For driver comfort, different weather protection options are available. 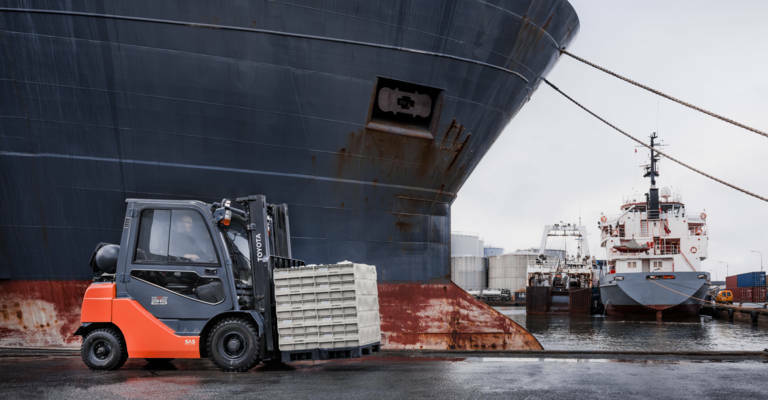 360° steering and advanced Transitional Lift Control improve smooth and productive material handling, for increased safety. This truck is equipped with telematics hardware, making it a smart truck that can be connected. This allows you to easily monitor its activity and improve its productivity, safety and efficiency. 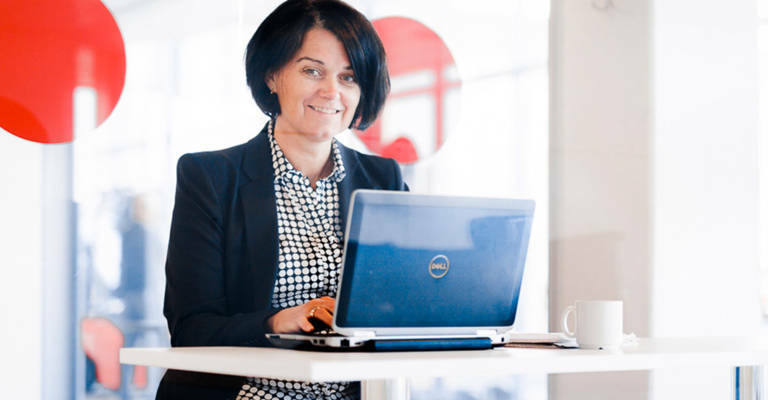 Get help to minimise transportation movements and maximise the speed from reception of goods to final delivery point.